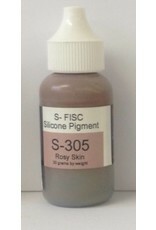 These FISC Silicone Pigments (AKA Functional Intrinsic Skin Colors) are the fundamental basics of all human skin tones. 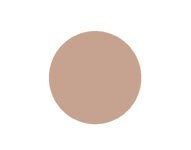 Adding a few drops of these pigments to your Platinum silicone will give you a foundation to mimic human skin. FISC Silicone Pigments are versatile and easy to use silicone pigments developed for medical prosthesis, special effects prosthetic artisans, doll makers, etc. 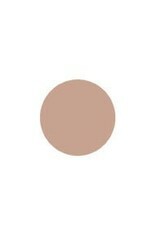 to easily create a skintone base color effects for their platinum silicone creations. Once demold, you can complete the coloring by using FuseFX line of Platinum silicone paints. We recommend that the cured piece to be painted, be no more than 2 days old. Clean All Surfaces That Will Contact FuseFX Paints - All surfaces to be painted, need to be free of any contaminants (especially mold release). If necessary, clean all surfaces with solvent (Toluene, Xylene, or Naphtha), and allow to dry before painting. 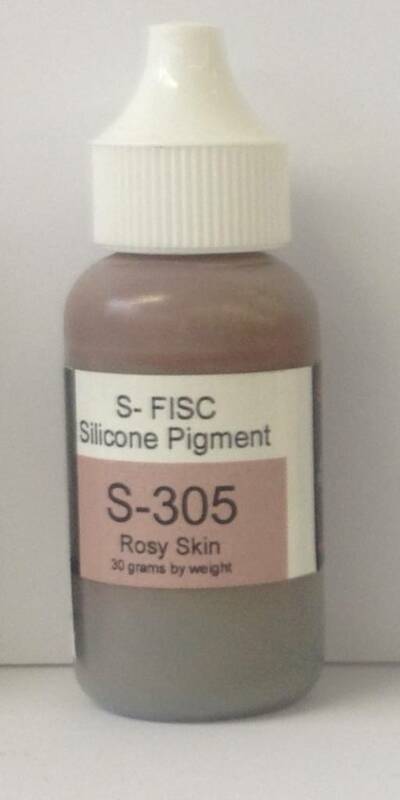 FuseFX S-300 Series FISC Silicone Pigments can be used in ALL silicone bases. Due to the nature of how the silicone pigments are suspended for dispersion, it is strongly advise to SHAKE WELL before use. Even if the bottle has been sitting for a few minutes, it’s always best to shake well again before using. A basic mixing ratio of 3 drops of pigments per 10 grams by weight of catilized silicone (A & B). Adding too much pigment can alter the color, adding too little pigments will make your piece too transluscent. Certain silicones do behave differently in large quantaties and you may need to reduce the amount of pigments to the mix and adjust accordingly. ALWAYS RUN A TEST SAMPLE FIRST. It’s cheaper to ruin a 10 gram test sample that to ruin a 300 gram batch. One bottle of S-304 contains 30 grams or approx. 1,000 drops. So one bottle of S-304 pigment could tint approx. 3,300 grams of silicone, approx. 7.2 pounds or 116.4 oz. This is not precise but very close. Some pigments are heavier that others. Drops of pigment to silicone ( 10 A shore ). The ratio is 3 drops for every 10 grams of mixed A & B (catilized) silicone. - 3 drops of pigments for 10 grams of silicone. - 6 drops of pigments for 20 grams of silicone. - 30 drops of pigments for 100 grams of silicone. The ratio is 2 drops for every 10 grams of mixed A & B (catilized) silicone. - 2 drops of pigments for 10 grams of silicone. - 4 drops of pigments for 20 grams of silicone. - 20 drops of pigments for 100 grams or silicone. Grams of pigment that may be riquired for large silicone batches. The ratio is 1.5 drops for every 10 grams of mixed A & B (catilized) silicone. - 4 grams of pigments for 1,000 grams of silicone. - 6 grams of pigmenst for 1,500 grams of silicone. - 8 grams of pigments for 2,000 grams of silicone.